Naturally, my next thought was: how can I Inspiralize my cheese plates and my favorite chocolate desserts to make them a bit healthier? Well, here goes my first attempt at an Inspiralized dessert. What do you think? Preheat your oven to 375 degrees. Prepare two baking dishes lined with parchment paper. In one dish, place your figs. Dab the sliced sides lightly with honey, using your fingers. Place in the oven for 10 minutes. In the other dish, place your walnuts. 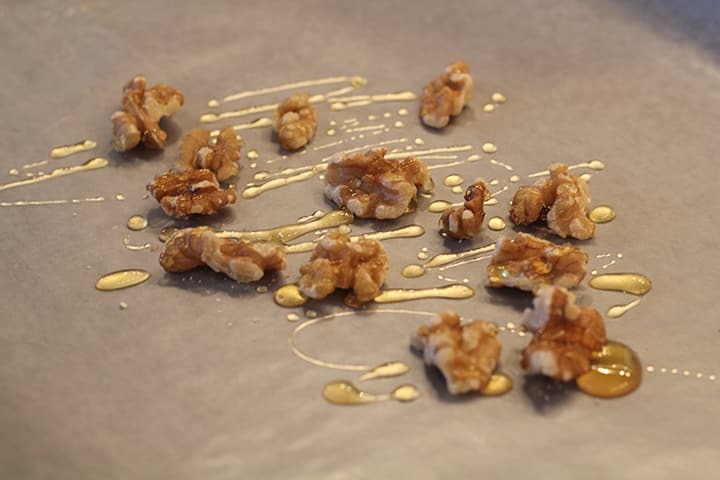 Drizze with honey and mix with your fingers to coat the walnuts evenly. Three minutes before the figs are done, add in the walnuts. 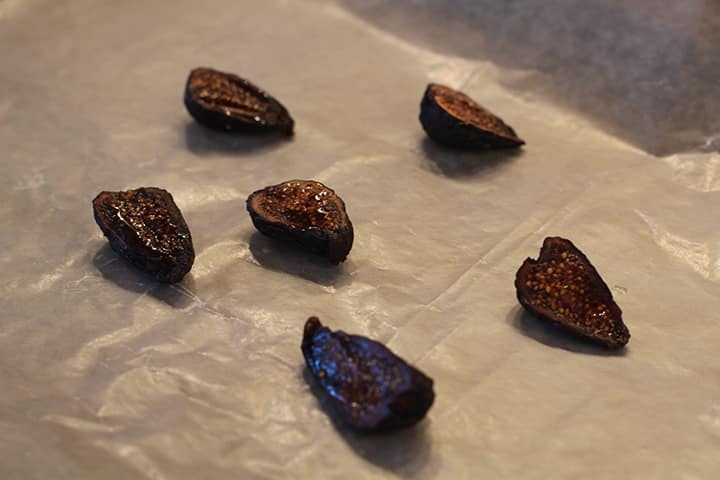 Remove both from the oven when done and remove from parchment paper immediately and set aside on a plate or in a bowl. 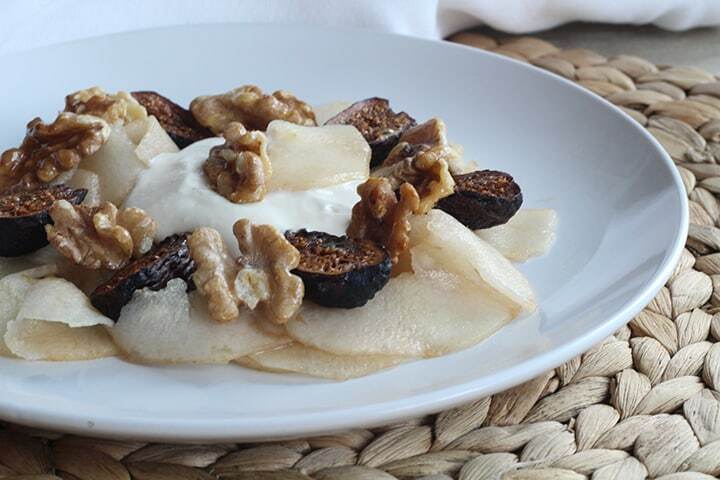 While your nuts and figs are baking, pour the ricotta cheese into a food processor and pulse until whipped. 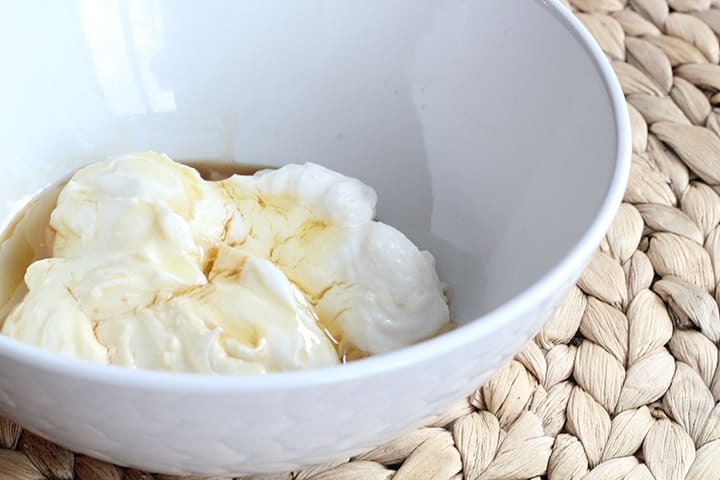 Place in a bowl and add in the vanilla extract and honey. Taste and add more vanilla/honey to your preference. Time to assemble the dessert! Arrange your pear ribbons on a plate as the base for this dessert. 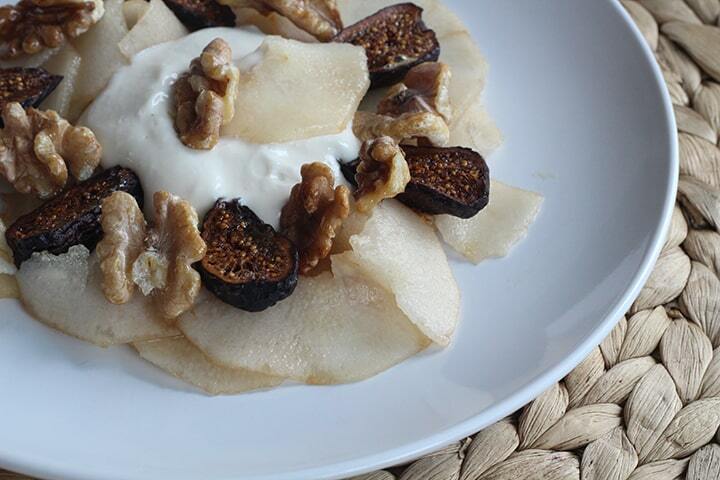 Create a circle using the figs and walnuts (save a few.) 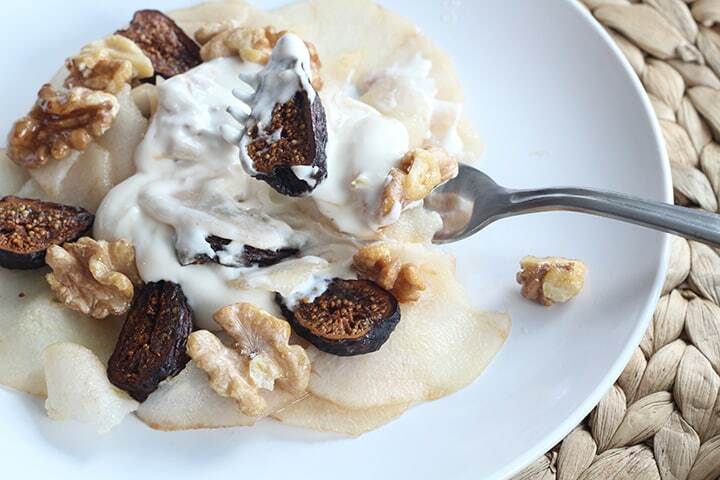 Top with sweet ricotta and remaining walnuts and figs. 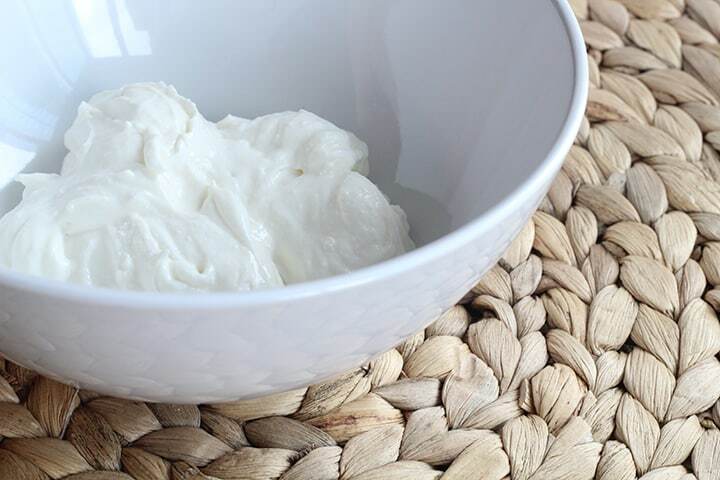 *I used whole milk ricotta but feel free to use part-skim to save about 3 grams of fat and 22 calories per serving. 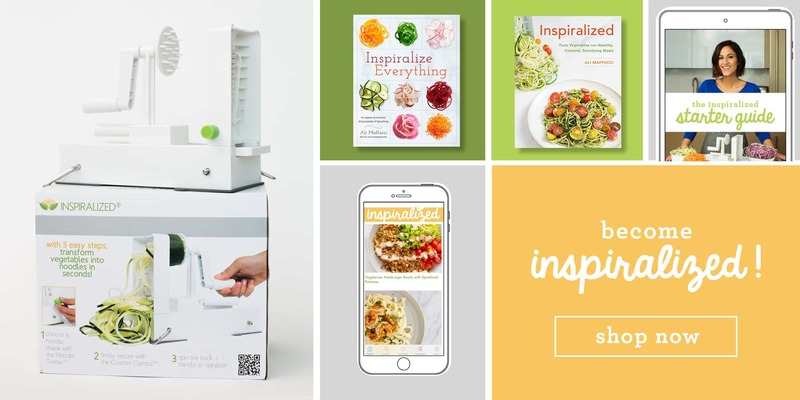 Love your site and I just ordered my spiralizer via your link. Bring on the chocolate desserts you're dreaming of!!! Love it....How many servings is this recipe? I've updated the recipe - thanks for pointing that out. Hope you enjoy! Ok you are a freaking genius. I just found your sweet potato/butternut sauce recipe on Pinterest and I just can't get over your imagination! I'll be pinning everything, thankyouverymuch! Delicious and yummy recipe. Nice to find your blog post. Love to eat the recipe you have shared. Keep up and Share same kind of recipes. Thank you. 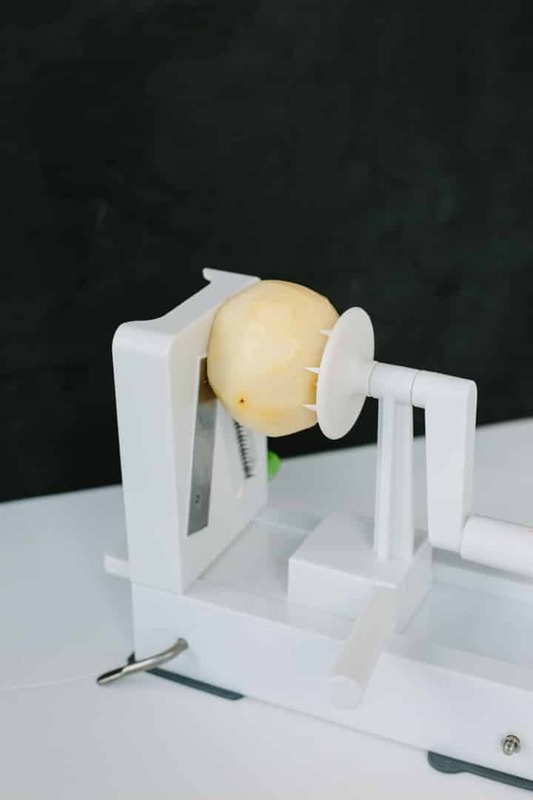 do you worry about coring the fruit first? I bet this would be great with a thick cashew cream as a sub for the cheese if one is dairy free (like me!). Thanks! I will definitely be trying this! Tonight we are having butternut squash and shrimp risotto. I agree with Abby, you are a culinary genius! Does this recipe have a calorie and carb count? I need to keep the carbs low and I imagine the figs and honey are up in carbs. Thanks.